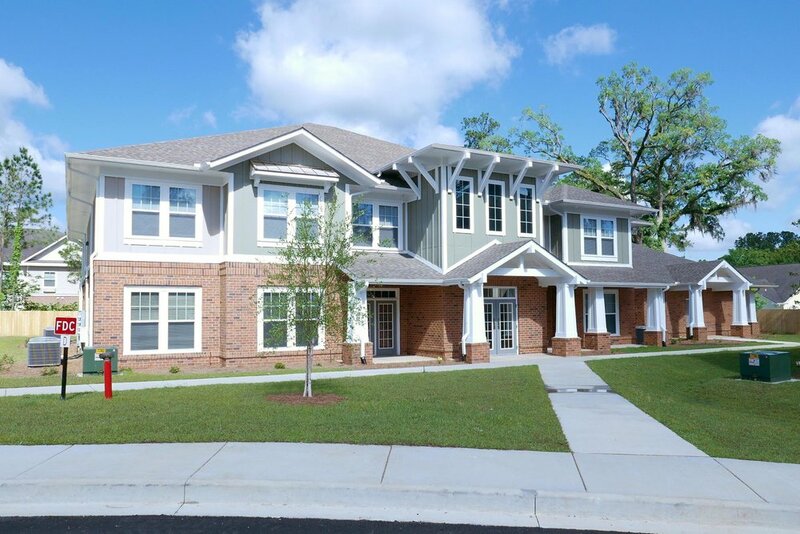 THOMASVILLE, GA - Studio 8 provided comprehensive architectural, engineering and construction administration for this new affordable housing complex located in Thomasville. Designed to reflect a Craftsman Style architecture, the new community is located close to downtown Thomasville and in close proximity to many amenities. Located on 9.613 acres, the project design includes six, two-story residential buildings and an attractive clubhouse/community building. The property consists of one, two, and three bedroom units. Each unit offers ceiling fans, a full kitchen appliance package, and individual washer and dryer hookups. The clubhouse complements the new development and includes a computer center with internet access and laundry facilities. The project brings a newly constructed affordable housing option to the residents of Thomasville. The complex was completely leased prior to opening with a waiting list of several hundred.